Mango is always one of my favourite tropical fruits. I bought some mangoes when they were in season at a very cheap price, come to a dollar a piece and they were very sweet. 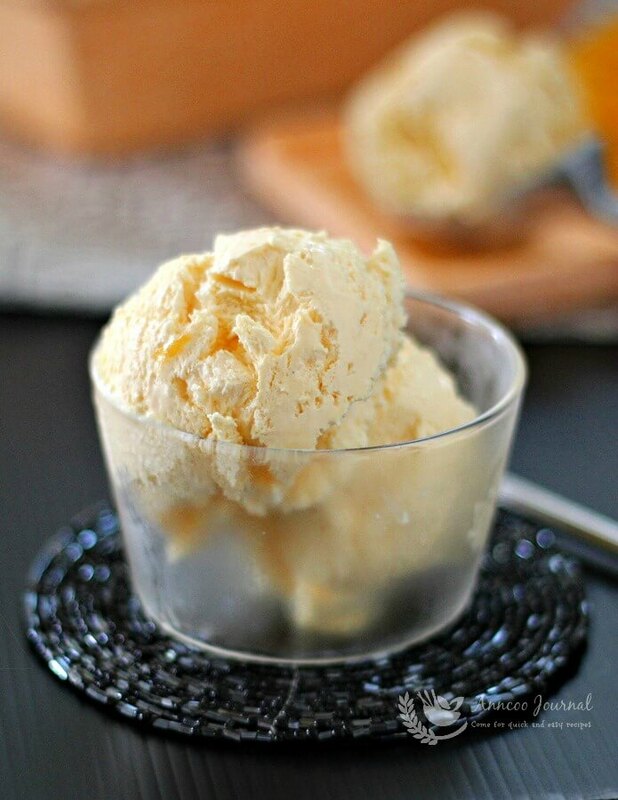 Since the weather is so hot and humid, this homemade mango yoghurt ice cream just came on the right time. 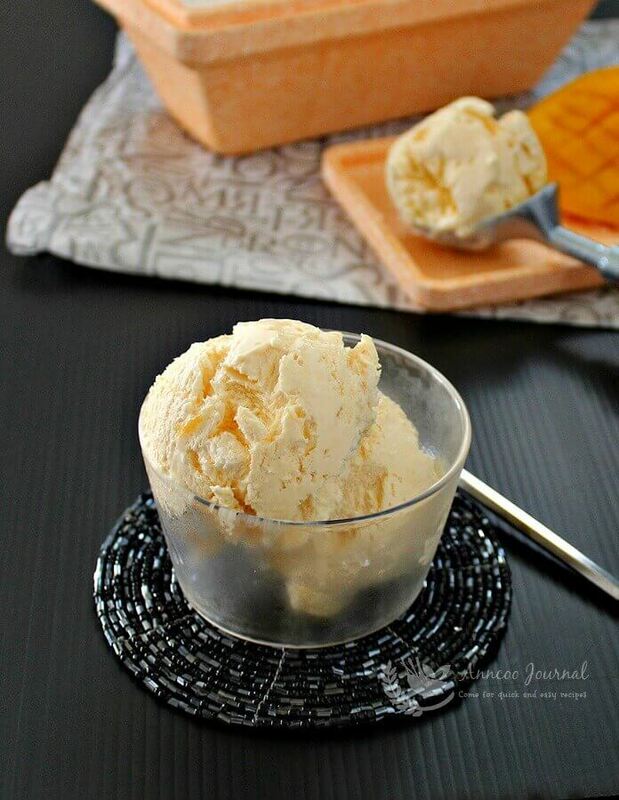 Thanks to SSB for sharing this very yummy and easy mango yoghurt ice cream. I’m sure you and your family will definitely enjoy this irresistible cool treat very much, at home. Have a wonderful cool treat! 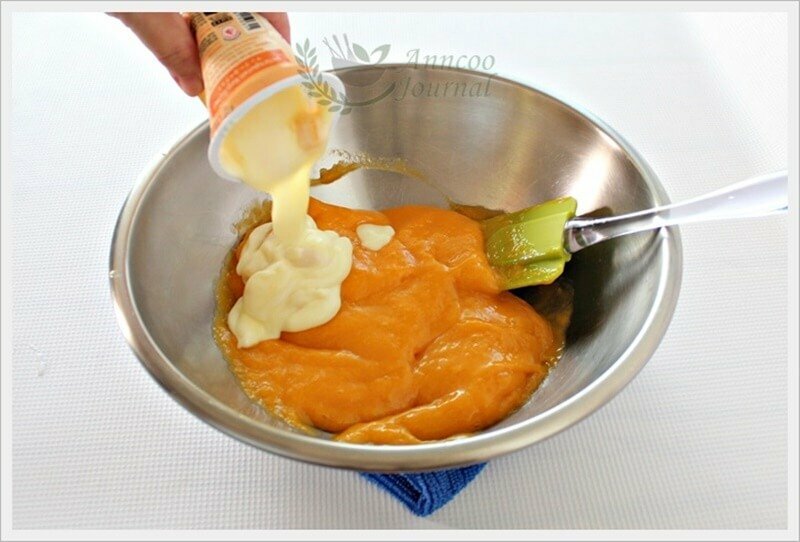 Blend mangoes and sugar together until it becomes puree. Mix yoghurt with mango puree. 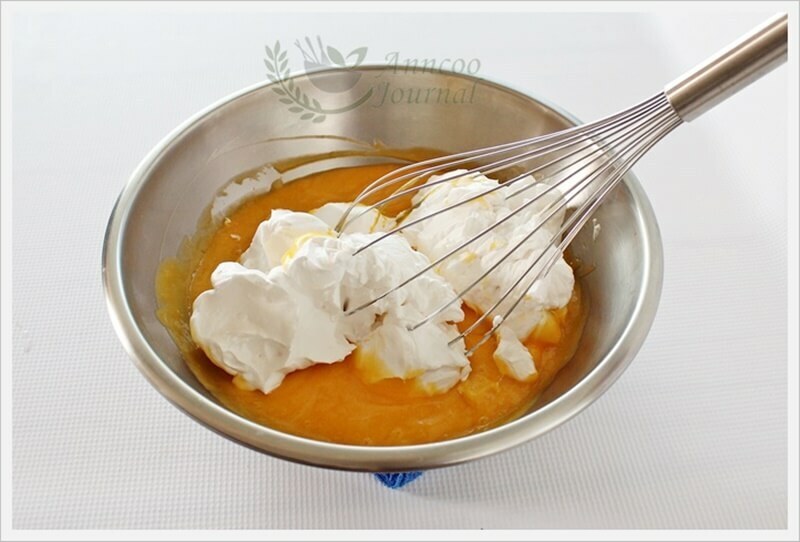 Whisk non-dairy whipping cream until stiff and mix into the mango mixture, mix thoroughly. WE love your yummy mango yogurt ice cream very much. Seek your guidance whether can substitute is with thai coconut water and the flesh to make. Hi Carol, You need to add coconut cream with the flesh in the ice cream. The formula will be slightly different from the recipe. Hi Ann. Oops! I added sugar to puree the mango as per recipe but did not add any sugar to whisk the diary whipping cream. Managed to whisk it to near firm peak (no wonder not volumised) and added to mango puree and then sent to freezer. Hope its still palatable? Hi Zoe, You need to add sugar for diary whipping cream. Is easier to use fresh topping cream. I tried the recipe the texture is smooth. The only thing is the yogurt taste that my kid dislike. Can I substitute the yogurt with something else? Does it taste more like Ice cream or yogurt coz I don't like the sour taste of yogurt. Because of the yoghurt added, the taste is creamy and strong of mango flavour. I has been thinking of making my own ice-cream as summer is here, I have been buying ice-cream from the store and thinking it may be to sweet for my little one, thanks for sharing…can i use electric hand held whisk? Hi Stephanie, you need to have the electric whisk (hand held or machine)to whip up the fresh cream to stiff peak then either use a hand whisk or rubber spatula to blend the ingredients together. easy and look fantastic!i like! Ohhh… No need ice cream maker also can make such a creamy texture ,,, mango flavour is always my top pick ! Nice one! This ice-cream looks so creamy and smooth!! I'm crazy about tropical fruits, but mango is my personal favorite. This ice cream looks amazing, and i think I'll make it since there's no need for the ice cream machine. I can eat it in any shape or form…. in cakes, cupcakes, or even ice cream…hehe. 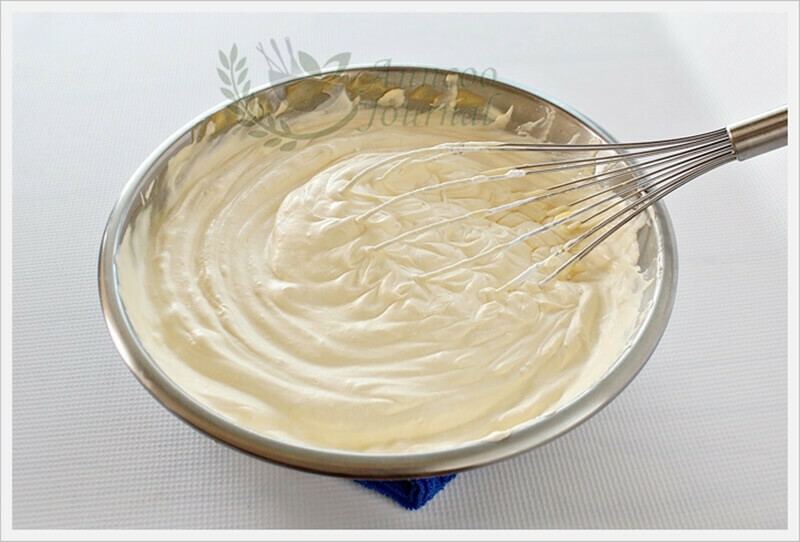 Yogurt and whipping cream for a creamy treat, great no machine recipe! Thanks! The best thing about this ice-cream is don't need to use a ice-cream maker to make it ! sound simply refreshing! I would like to have 2 scoops of mango yoghurt ice-cream, so so so yummy! seem likes easy wo…. have to try this. Mango + Yogurt? What a great pairing! I normally get my yogurt fix from Yummy Yogurt…. This is definitely a treat – fresh mangoes – who can resist? It looks really fresh and tasty! Have a great day! I have made this many times, it is really an easy and versatile recipe. Angel, what flavour you usually made? My reader Ai Li wants to try kiwi and strawberry. Hey, I like your blog's new look……… so cool and pro! I had my lunch and the food was a bit salty, so I'm yearning for something sweet and I just found it here! Great that this ice cream doesn't require churning! Thanks for sharing! Cheah, thank you :)Have a try, this ice cream is really yummy! Ann, I didn't know it is so easy to make ice cream?! Great I have a potluck coming up next week. Does it work with other fruits like kiwi and strawberry? Same amount of fruits to be used? Thanks! Ai Li, This ice cream is a little soft because yoghurt added. Can make 2-3 days ahead. Kiwi and strawberry are sour and not as fragrant as mango. You can try mango first. Am craving for this yummy mango ice cream even though it's quite cold here. Yum…. Hi Ann, I love any ice cream recipe that don't need ice cream maker! 🙂 Thanks for sharing. Making this ice cream seems like magic!!! Love to try this when the mango season return in Oct 2013! – Can't wait!!! THis is so simple and easy. I agree, nothing to beat the heat like some icecream. Oh wow, no need ice cream maker! Definitely a must try recipe. Do you think it will work without the whipping cream? I almost have all the ingredients without whipping cream. I don't think so. The mango puree will becomes too icy but you can try banana. Slice the banana and freeze it. Then blend it and return to freezer again. Wow a coincidence! I made a tub yesterday too. Beautiful pic.